When an email arrives in your inbox, how do you decide whether to open it or delete it? Apart from the headline, the next thing you often see is the preview line … the small line of text at the top of the email that gives a further hint to the content that follows. This is often the way people make a decision whether or not to open your email so it’s pretty important. View it as a sub-heading that supports your main subject heading. 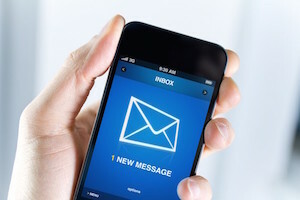 Will somebody be more likely to read your email as a result? Can you draw them in with a few extra words?